Nissan is to give away 400 quick charge stations to help speed up the development of the European charging network. These quick chargers allow electric vehicles (EVs) to reach 80 per cent charge in 30 minutes. Countries have been asked to pitch their ideas for charging network improvements and the best bids will win an allocation of the 400 chargers. Nissan UK has put in a bid for 65 chargers which would be placed strategically at a selection of service stations up and down the UK motorway network, creating a pathway of routes to help improve the mobility of electric cars. Additionally, further quick chargers would be placed at some airports and in various city centre locations. The additional chargers would make it possible for drivers of limited range EVs like the Nissan Leaf, which can travel 110 miles between charges, to travel further by recharging mid trip. Normally it takes several hours to charge an electric car, but the quick chargers mean drivers can top up to 80% while they have a coffee break, and then continue on their journey. 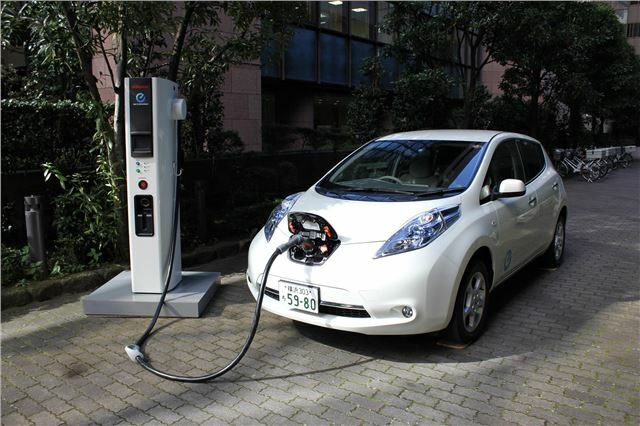 Nissan is ambitious and hopes that there will be tens of thousands of chargers installed across Europe by 2015. The selection process to choose who is awarded the quick chargers has already started. Installation of the new chargers should start in February 2012.